In my past lace scarf , I knitted over the e-wrap, so you can see 2 distinct strands of yarn every eyelet. It's a bit messy, so if you don't like that, you need to unravel the e-wrap and knit over that. 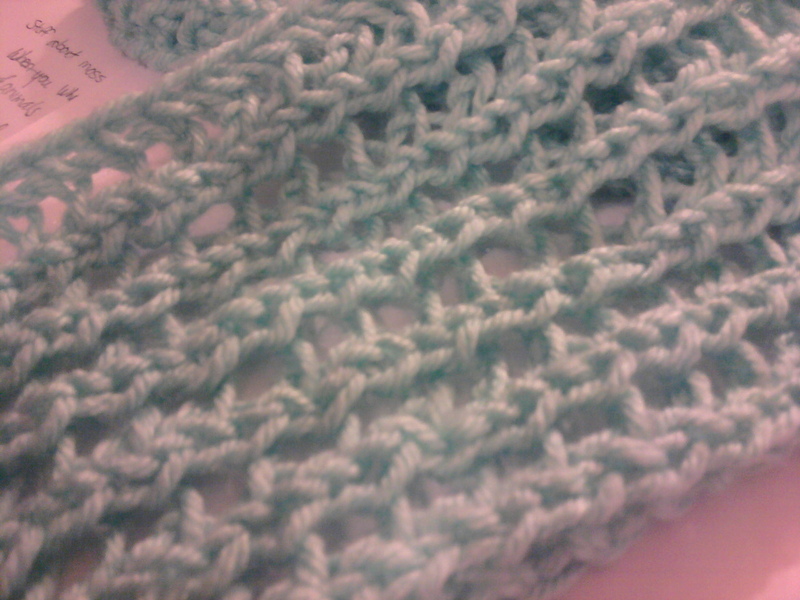 Also, I will explain why lace looks nice when you to lift some stitches off of your pegs when you do decreases... It really looks more beautiful that way.